Herbert Finkelstein was born in Vienna in 1913. He trained as a textile technologist and worked for a firm owned by a relative. He was arrested as part of Kristallnacht on 10 November 1938 and sent to Dachau. He was released on 10 March 1939 after his father and fiancée managed to obtain the relevant migration documents. 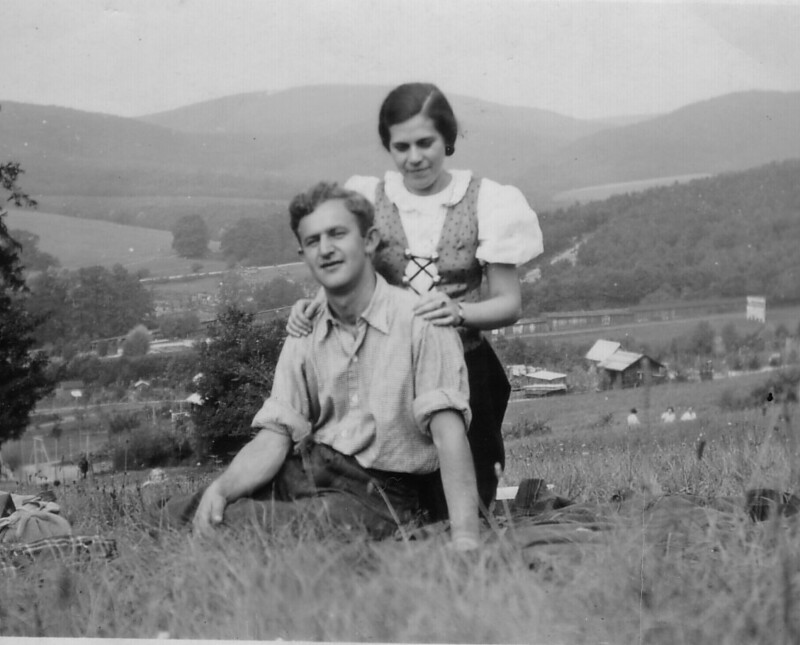 Herbert married Erna Nowak in April 1939 and left his homeland three days later. Herbert arrived in Britain on 19 April 1939 and after a few days in London with a Jewish family, the Mazins, he travelled to Kitchener Camp. Herbert's 'Exemption from Internment' card, an image of which was obtained by the family from the National Archives in London, notes that Herbert's police registration certificate number was 711551; and his Home office number was T439. He is registered here as a weaver in his previous occupation, and as working in the camp bicycle store at Kitchener. Herbert was placed in 'C' category by the tribunal for exemptions when war broke out. Some months after war broke out, Herbert and Erna were sent a certificate with a job offer, which entitled them to travel to South Wales. Herbert took up a job as a weaver here, making webbing for military uniforms, which was presumably a ‘reserved occupation’. Thus, Herbert left Kitchener in January 1940. The Finkelsteins initially lived in Cardiff, but when new residence regulations for Aliens came in, they had to move away from the coast and ended up in Merthyr Tydfil, where they stayed. Herbert took his turn at fire-watching during the war, and also joined the Home Guard, in 1944. After the war, Herbert and Erna were to spend the rest of their lives in South Wales.